When adventure calls, it’s people like Christian Schauf and Mike “Rooftop” Escamilla that answer. Schauf is an athlete and entrepreneur who has worked in marketing and film to create brand stories, raise money for charities and more. Escamilla is a pro BMX rider, Hollywood stuntman and professional photographer who has traveled the world for work and pleasure. Though their backgrounds may differ, they share a love of the outdoors and a deep recognition that when you take adventurous risks, things can sometimes go terribly wrong. Uncharted Supply Co’s Seventy2 pack is the answer to the risks of exploration. It’s said that when things go awry, the first 72 hours are critical to rescue and recovery. Yet, there are few options in the current market that provide everything an adventurer would need to survive those critical hours. That’s why Schauf and Escamilla partnered with survival experts to create a pack that has it all. The Seventy2 is designed based on recommendations from professionals including trained special forces ops, mountain guides, first responders, and doctors. The result of all this is what Uncharted Supply Co calls “the world’s first fully-integrated 72-hour survival system.” The backpack is made of a durable 600D tarpaulin that can be used to fashion a sling for broken bones, and a specially designed insert holds the tools and products that make the backpack a lifesaver. Inside the Seventy2, adventurers will find every item they’ll need to survive those first 72 hours. Essentials including a collapsible water pouch, high-calorie Datrex food bars, a first aid kit, flashlight, matches, and sunscreen can be found inside. Other, more specific survival gear has been added as well, including a Sawyer MINI Water Filter, Mylar thermal survival tent, Mylar thermal space blanket and chem lights. But the gear doesn’t stop there. Also included are an RZ air filtration mask, a radio/flashlight/smartphone charger, magnesium alloy fire starter, heat packs, and tools including a survival knife, multi-tool, duct tape and antibacterial wipes. Together, these make up the Seventy2’s premium 72-hour survival pack, all housed in a lightweight and stylish backpack. When not in “adventure mode” explorers can remove the survival insert and use the Seventy2 as an everyday backpack for gear like laptops, planners, and tablets. With videos available on the company’s website to break down some of the essentials, it’s easy for anyone to pick up and start putting the Seventy2 to use. Before appearing on Shark Tank, Uncharted Supply Co had already been featured in Time, Popular Mechanics, Gizmodo and The Huffington Post. Their early 2017 Indiegogo campaign raised $491k to help bring the Seventy2 to life. 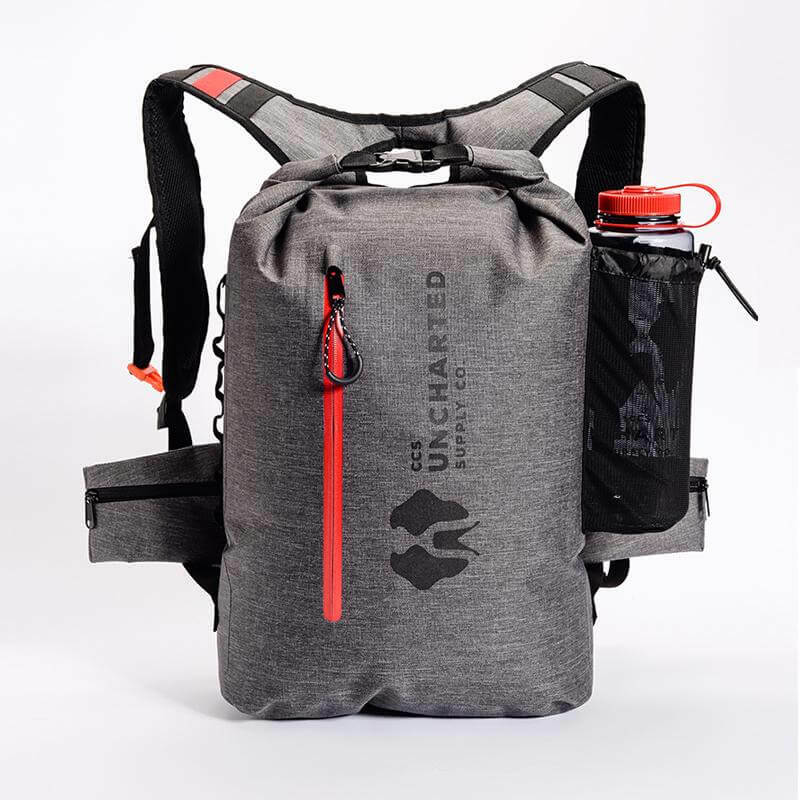 This all-in-one survival backpack is also a great way to prep for hurricanes, earthquakes and other natural disasters that can affect everyone—not just daring explorers.